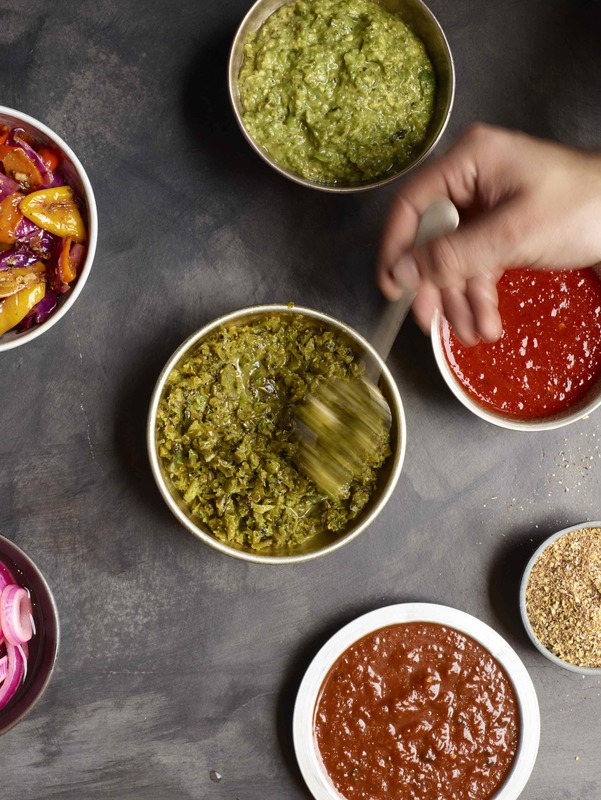 Chefs are fanatical about flavor and freshness — they know better than anyone that culinary inspiration begins and ends with the highest quality ingredients. 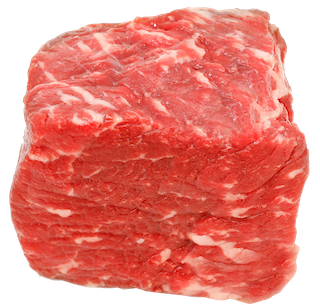 With its beautiful color and intricate marbling, its delectable tenderness and rich flavor, you’ll be inspired to create your own culinary delight for family and friends. It's our handpicked network of family ranchers who nurture and protect the defining characteristics of our Kuroge Washu bloodlines. By following the Mishima Reserve Method, they honor this distinctive breed, whose bloodlines trace back to Japan and the Mishima Islands that inspired our name. Wagyu cattle were originally bred as working animals for exceptional strength and stamina. It was later discovered that these attributes also create a fine marbling in the muscle, which contributes to the extraordinary flavor and tenderness of the beef. 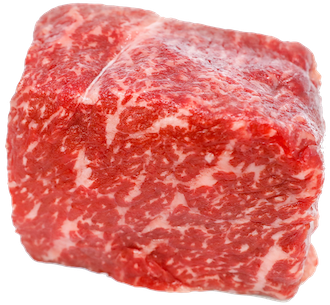 Mishima Reserve beef contains half the saturated fat and twice the mono unsaturated fat - a lighter, sweeter, healthier fat - than other breeds. They also have higher levels of healthy omega-3 and omega-6 fatty acids. 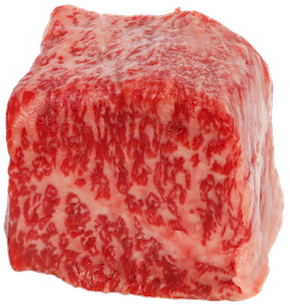 The first thing you notice about Mishima Reserve American Wagyu Beef is the abundance of intricate marbling throughout the meat. But that's just one visible characteristic and source of flavor. Equally important are the texture, tenderness, and density of the beef, all of which are inherently superior qualities of our Kuroge Washu beef. Our herds consist of Japanese-heritage full-blood Kuroge Washu bulls - known as the best of breed - crossed with American cows, born and raised in the U.S.
At Mishima Reserve, we believe that sustainability is no longer a choice; it's a necessity, and we hold ourselves to the highest standards when it comes to both quality and sustainability. Our cattle are long-fed and raised over the course of 25 to 28 months (18 to 20 is an industry standard). By allowing them to gain weight slowly, we maximize the superior characteristics of the prized Wagyu breed. We control every aspect of our cattle's development, with a focus on humane and caring practices that include open access to clean water and fresh air. We have a zero-tolerance policy for growth promotants or added hormones. We have two important objectives in preparing your order for shipment. First and foremost, that your meat arrives in perfect condition. Second, that the packaging be as environmentally friendly as possible. We seal each steak in its own airtight wrapper and use dry ice to ensure everything stays frozen or chilled in transit. The insulating liner is water-soluble and can literally be washed down the drain or composted, and the outer shipping carton is fully recyclable, post-consumer cardboard. To further reduce our environmental footprint by offsetting carbon emissions caused by our industry, we have partnered with Eden Projects to help reforest Madagascar, one of the most biologically diverse places on Earth. The Mishima Reserve story begins as so many stories of discovery begin—while traveling. Our founder, third-generation cattleman Shane Lindsay, had traveled to Japan for college when he learned about their ranching methods and their obsession with Wagyu beef. It was a delicacy that U.S. chefs had only begun to discover in the mid-90s. Back in the States, Shane used his expertise to spearhead the first major Wagyu operation outside of Japan. That early success compelled him to start his own operation, one that would allow for complete control and transparency over the process, while honoring the meticulous breeding, feeding and care protocols he’d learned from his Japanese mentors. As a cutting-edge foods company, we have a keen eye for craft food movements, having had a direct hand in launching and guiding a number of celebrated restaurants and artisan food brands, including Beecher’s Handmade Cheese, Seattle’s landmark steakhouse The Butcher’s Table, and others. Our first experience with Mishima Reserve—where we gained a deep appreciation for its quality—was as a customer serving it in one of our restaurants. We knew Mishima Reserve and craft beef aligned perfectly with our vision for sharing authentic and unparalleled culinary experiences with others. 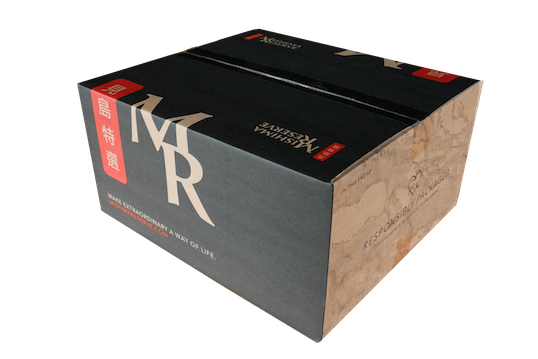 When an opportunity to acquire Mishima Reserve and partner with Shane arose in 2013, we jumped at the chance to bring this extraordinary brand into the family. Our passion for delicious, healthy food and our steadfast belief that everyone deserves access to it, are the driving forces behind Beecher’s Foundation. Dedicated to education, advocacy, and a willingness to tackle the toughest challenges concerning the foods we eat, the Foundation is helping build a better food future for all.